Last year, I went for a 6-day trip to Cambodia with blogger Jam and his friend. 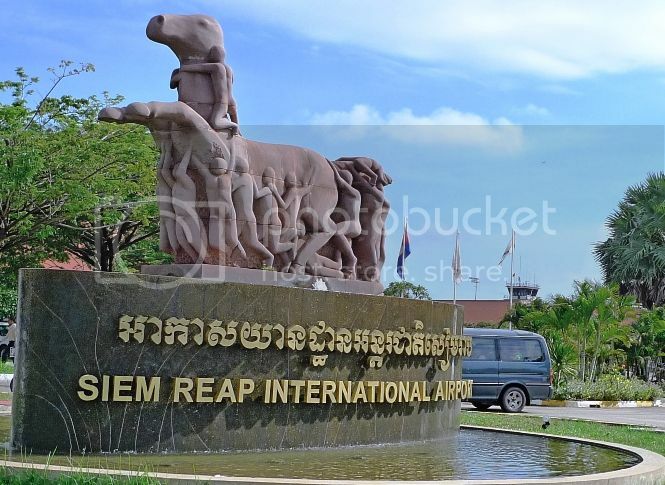 We spent 3 days in Siem Reap and another 3 days in Phnom Penh, the capital city of Cambodia. It was my first time to Cambodia and I was pretty excited! We took an early morning AirAsia flight at 7am from LCCT and reached Siem Reap International Airport 2 hours later. 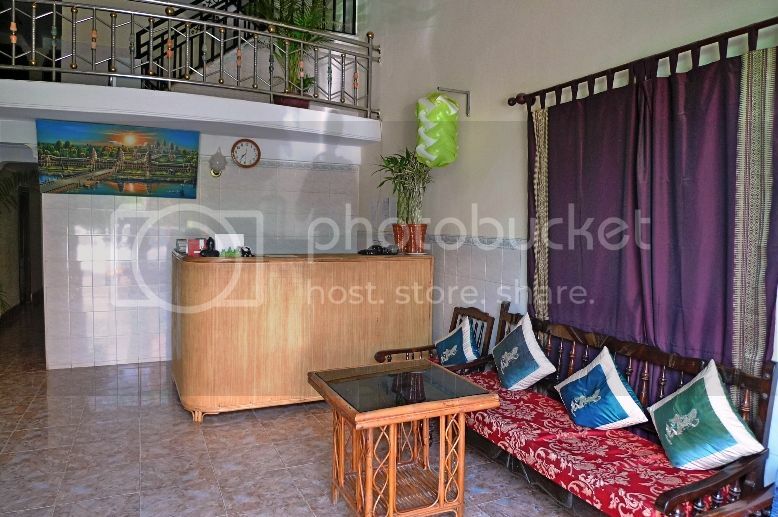 A few days before our trip, I had a scare when Jam told me that the hotel in Siem Reap which he booked a few months back was no longer in business! Luckily he managed to book another hotel within a short period of time. Otherwise, we would probably be sleeping in the streets! Haha! 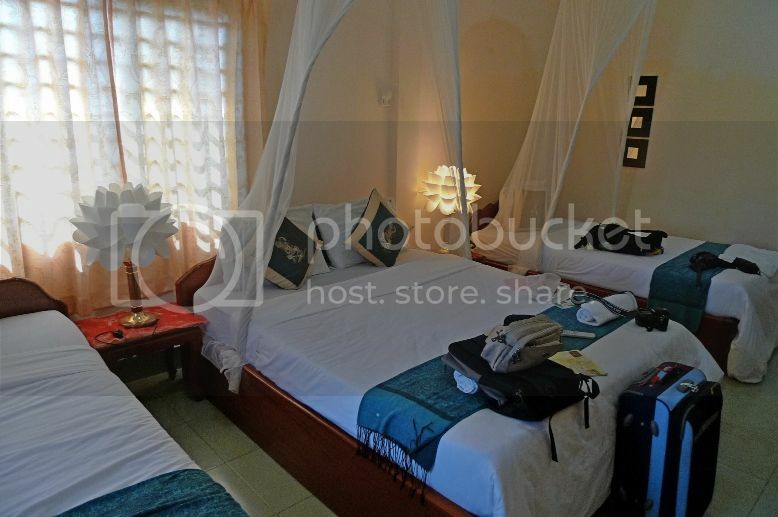 It is not easy to find a 3-bed hotel room, but Jam managed to locate one at Angkor Friendship Inn. This may not be a luxury 4 or 5-stars hotel, but that's OK. I seldom stay in luxury hotels during my travels. As long as it is clean and comfortable, that is all that matters to me. 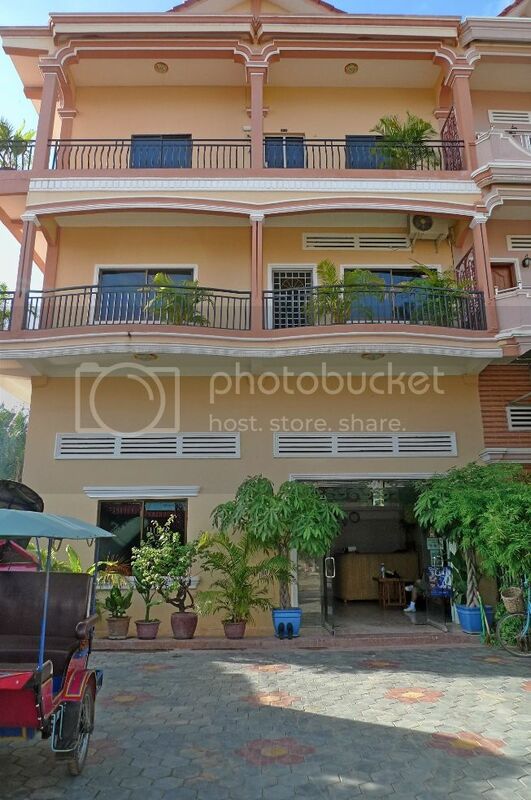 The good thing about Angkor Friendship Inn is that they provide free airport pickup upon your arrival in Siem Reap. 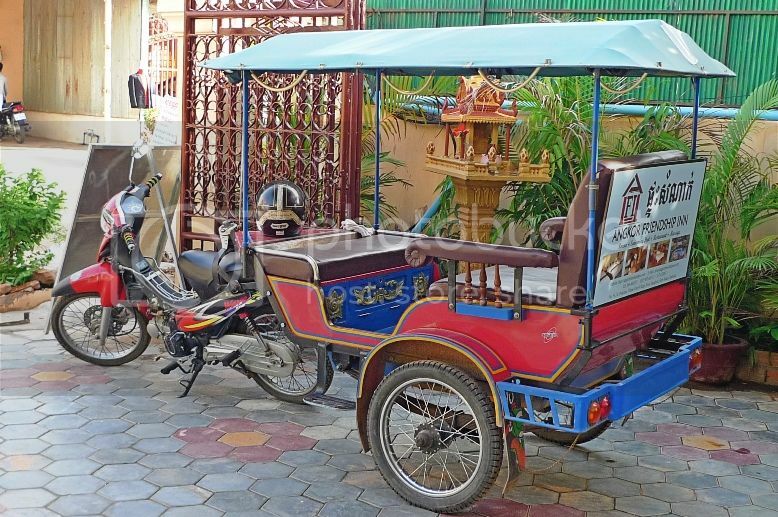 Yes, the three of us sat on this "tuk tuk" all the way from the Siem Reap International Airport. It was fun! The reception area was basic and simple. The staff were nice and friendly. Every morning we had simple breakfast at the area next to the reception. 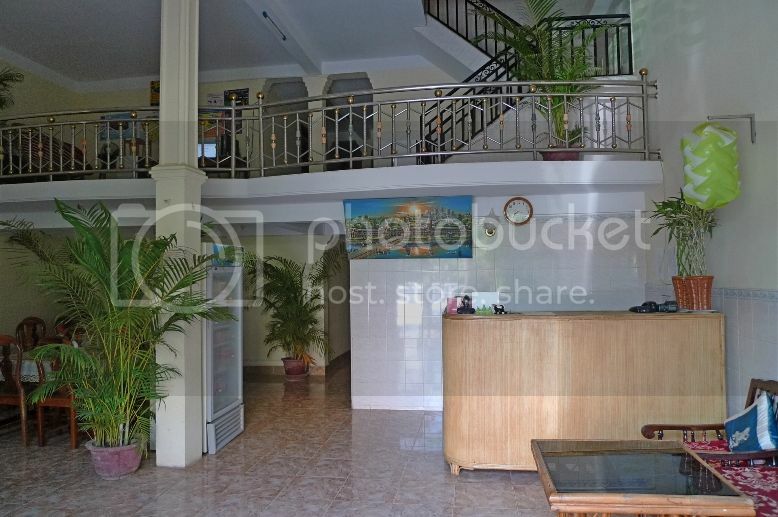 This is the picture of Angkor Wat on the wall behind the reception counter. 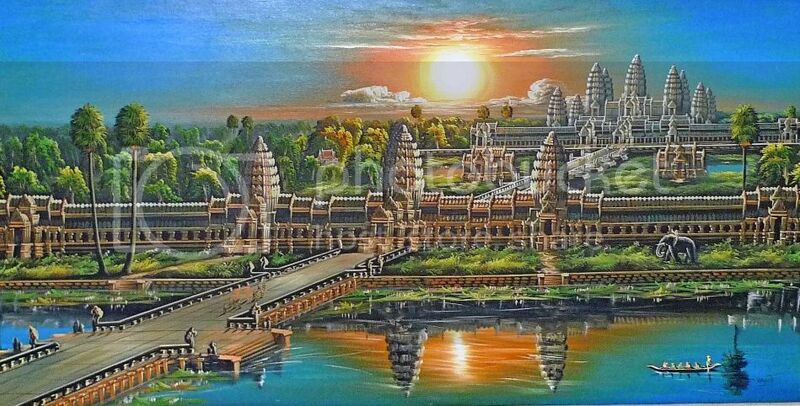 We would be visiting Angkor Wat on our first day in Siem Reap. Guests can get free coffee or tea at the lobby. Our 3-bed room was located on the second floor. It was pretty clean and comfortable. 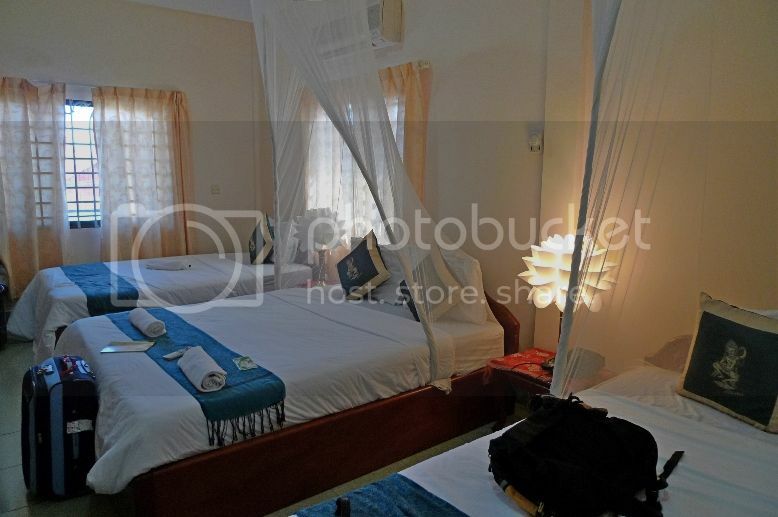 At only USD27 (RM81) per night (which includes breakfasts), it was a steal! I still remember watching the James Cameron movie Avatar on the TV in our room. I was amazed they were already showing Avatar (although dubbed in Cambodian language) when it's not even available on Malaysian TV even to this very day! 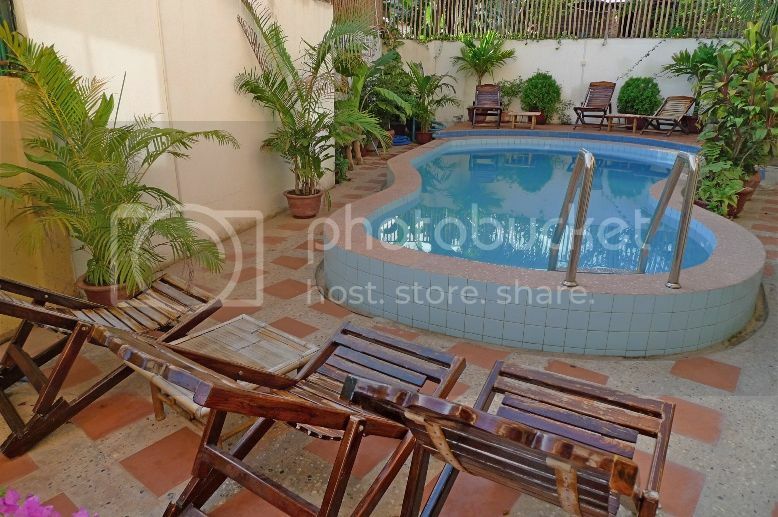 Even though Angkor Friendship Inn is quite small, it does have a swimming pool. A tiny one though. However, we did not swim or laze around at the swimming pool. 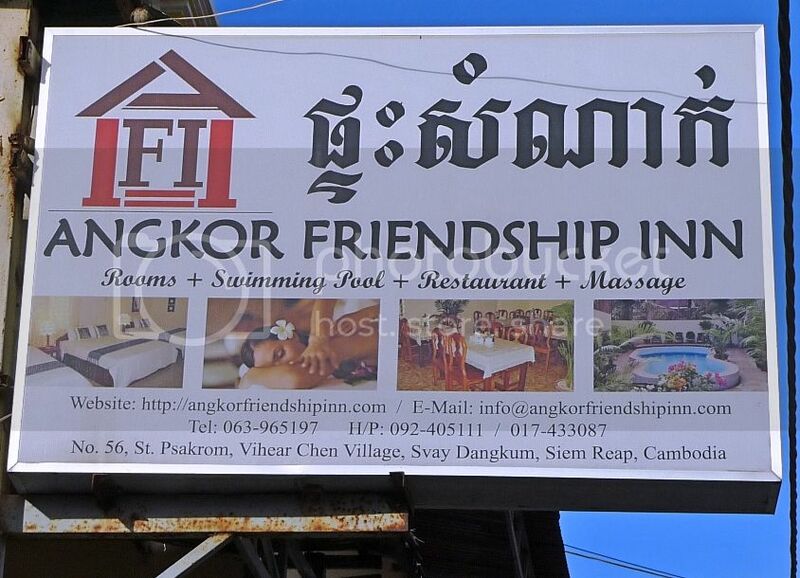 What I like about Angkor Friendship Inn the most is its location, which is perfect. It is just 5 - 10 minutes walk to the Old Market, the happening pubs and restaurants and to Artisans D'Angkor which I shall blog about in future.